Congratulations on finding the perfect REALTOR® to help you sell or find your home! 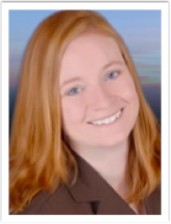 Dawn Workman has the highest level of integrity and customer service and an excellent rating from past clients. As an Arizona State Marketing graduate and experienced top producing real estate professional for the last 10+ years, she is sure to help you achieve your real estate goals. Expert on helping for sale by owners sellers, first time home buyers, foreclosures and negotiating, she is available to go above and beyond for you! Dawn is a full time resident in the PNW and knows the areas to help guide your relocation or just give input in one neighborhood over another. As a mom to many, she knows how important schools and area are and will get you the information you need to make an informed decision.